When you start your free trial we will automatically create a Demo Property. 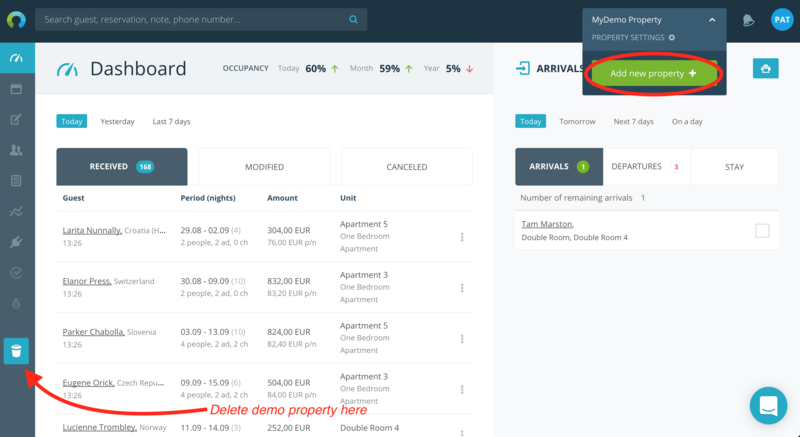 This property contains (fake) generated data: unit types, units, guests etc. and with it you can familiarise yourself with Rentlio. Most of our functionalities are available in Demo so you can play around / test to see how to work in Rentlio with real data. We strongly advise that you try out the Demo Property before creating your own property. Pop-up window will open. Type the name of your property and Add property. 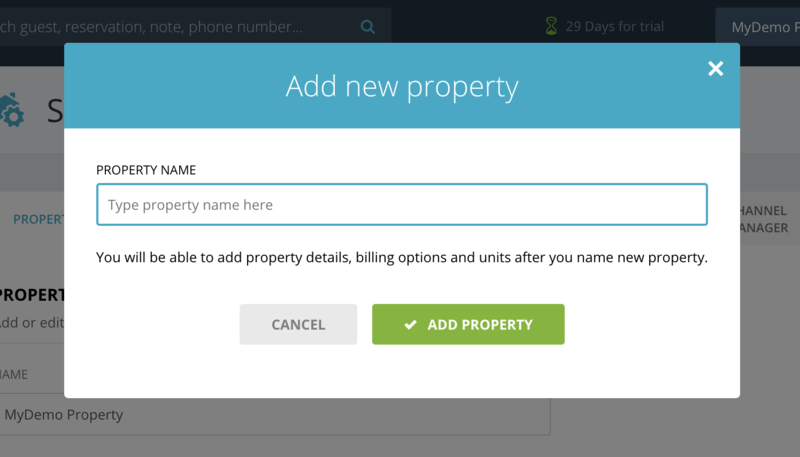 When you create your property you can proceed with setting up property details and add unit types.